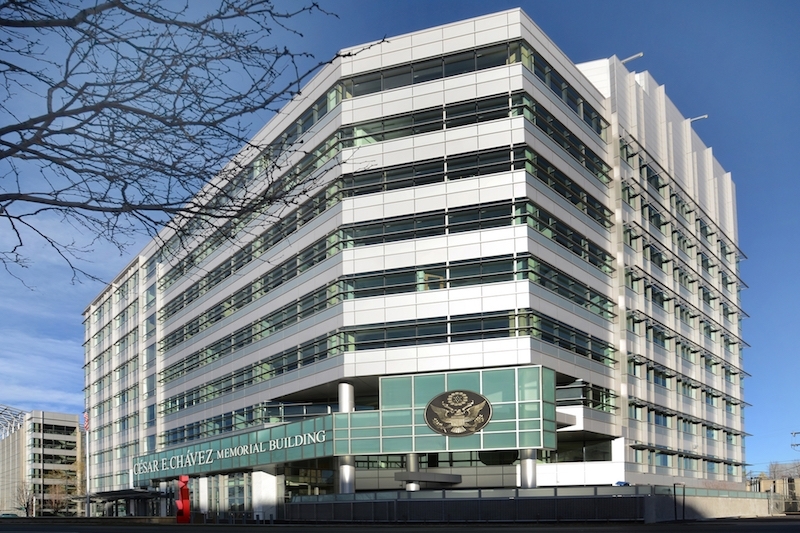 Home to seven federal agencies, the Cesar E. Chavez Memorial Building, situated in the Golden Triangle neighborhood of Denver, Colorado, provides important services to the area and acts as a landmark to the region. Originally built in 1984, the decades of use began to show on the building’s exterior and the interior demanded technological upgrades as well. The US General Services Administration (GSA), owners of the building, were faced with the challenge of modernization and creating innovative opportunities to advance the sustainability of the building while also limiting the disruption to business operations. The contract was awarded to GE Johnson Construction and Tryba Architects to bring the 180,000 square feet, 10-story building into the modern age, with a goal of LEED Silver Certification. Read more in our feature on Building Design + Construction.